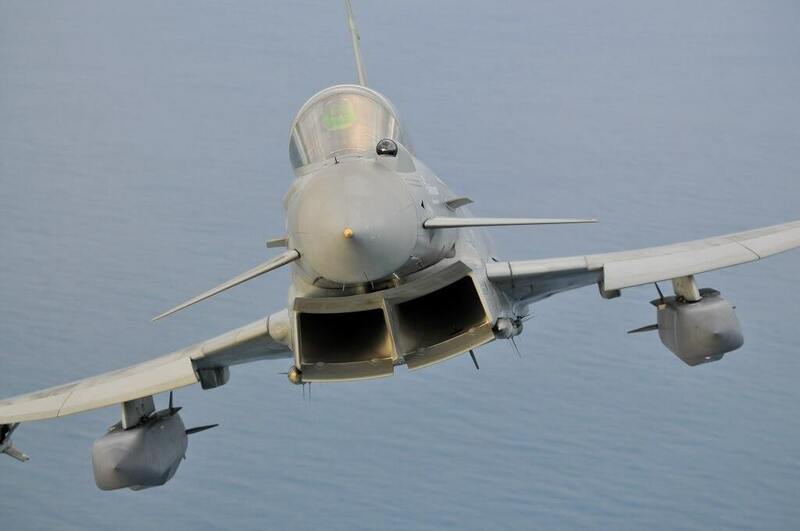 MBDA’s Storm Shadow long range cruise missiles are to be fitted to British Typhoon fast jets following a £120 million agreement signed on July the 21st. Storm Shadow is a British, French and Italian air-launched cruise missile, manufactured by MBDA. Storm Shadow is the British name for the weapon; in French service it is called SCALP EG. Storm Shadow provides long-range air to surface capabilities and it is one of the most advanced missiles of its kind. It is capable of destroying various targets including bridges, airfields, harbours and parked aircraft. The missiles are often deployed on Tornado GR4 aircraft during operations over Iraq and Libya. The missiles will now be fitted onto Typhoon aircraft ready to enter service with the RAF in 2018. During the NATO intervention in the Libyan civil war, Storm Shadow was fired at pro-Gaddafi targets by French Air Force Rafales, Italian Air Force and Royal Air Force Tornado aircraft. In 2011, Italian Defence Officials reported that Italian Tornado IDS aircraft had fired between 20 and 30 Storm Shadows during the Libyan Campaign. This was the first time that Italian aircraft had fired the missile in live combat, and it was reported the missile had at least a 97 per cent success rate. France, Greece, Italy, Saudi Arabia, United Arab Emirates and the United Kingdom have all expressed interest and ordered the missile. The missile has a range of approximately 500 kilometres and is powered by a turbojet which reaches speeds of Mach 0.8. The BROACH warhead features an initial penetrating charge to clear soil or enter a bunker, then a variable delay fuze to control detonation of the main warhead. The missile weighs about 1,300 kilograms. It is a fire and forget missile, programmed before launch. Once launched, the missile cannot be controlled, its target information changed or be self-destructed. Mission planners programme the missile with the target air defences and target. The missile follows a path semi-autonomously, on a low flight path guided by GPS and terrain matching to the area of the target. Close to the target, the missile climbs and then bunts into a dive. “Storm Shadow has a deserved reputation for accuracy and reliability. The integration of Storm Shadow onto RAF Typhoons is another powerful sign of our commitment to the continued capability development of this world class aircraft. The agreement, signed at the Farnborough International Air Show was signed between the NATO Eurofighter-Tornado Management Agency, on behalf of the partner nations, and Eurofighter GmbH.